Our Home Inspections Are So Good, They're Guaranteed 200%!! 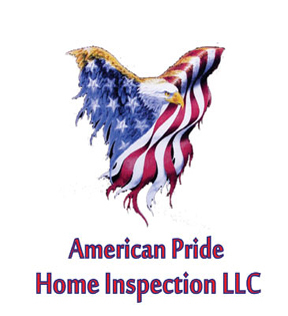 At American Pride Home Inspection LLC, we offer a very simple, no fine print guarantee and we're not satisfied unless you are. Attend your Norman Home Inspection and if for any reason you're not satisfied with the "Quality" of the home inspection service, just tell the Inspector before receiving your report and we'll either make it right, or you don't pay the fee! Plus we'll pay the cost (equal to or less than our initial cost) for another professional home inspector (of your choosing) to perform a second inspection. Why?? Because your satisfaction is important to us! That's Our Iron-Clad 200% Guarantee To YOU. We Find The Defects That Cost Big $$$- The end result is you save more money. Most contracts obligate the seller to make repairs or give you credit at closing. The more defects your inspector finds, the more money you save. We Don't Rush- We don't do more than 2 inspections per day. This allows us the time to do a thorough inspection of your new home. This also means we charge more than most of our competitors. You don't want a cheap inspection. A cheap inspection may be the most expensive thing you'll ever buy, it may cost you thousands of dollars down the road because of missed or overlooked defects. Cheap inspectors often know less and do less, which is one reason they charge less. Bottom line- The more thorough we are, the more defects we find - the more money you save. - no answering machines here!